Our Choir rehearses every Thursday evening from 7:30 pm to 9 pm in the Chapel. We come together to practice a few songs and have fellowship. Anyone interested is welcome to attend the Thursday night practice. 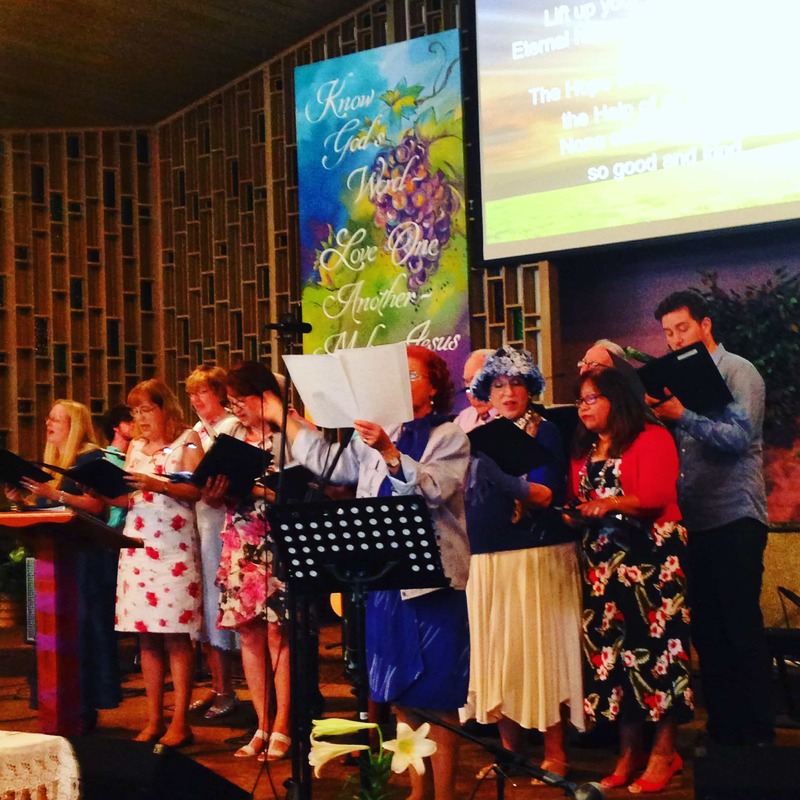 The Choir sings every Sunday morning at our 10:30 am Traditional Music Service. To edify the members of the choir in their faith through the singing of church music so that they would, in turn, edify the lives of the listening congregation. Music prepares the heart for the sermon that follows. If you have any questions regarding the Choir, please contact Vivian Rude (Traditional Music Leader) at (818) 349-7634.